Can you believe we are in mid-July? That is full-fledged summer in my books!!! 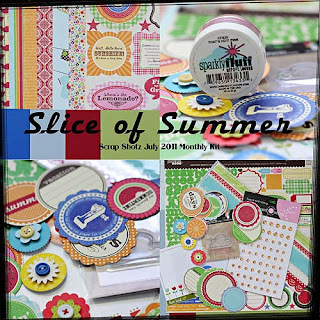 That is indeed something to celebrate and even more to celebrate is the Summer Scrap Shotz Reveal. Take a look at what the Design Team has created with the Scrap Shotz Summer Kit titled Slice of Summer. 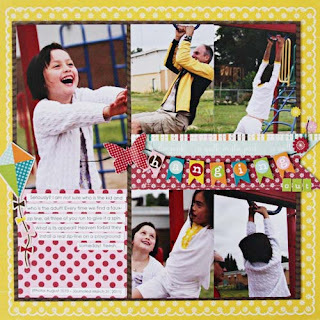 Lorraine created a delightful summer layout! Darling pictures are beautifully accented with the intricate fussy cutting from one of the kit papers! And Wendy whipped up this yummy 2-pager! Don't you want to jump into that pool??? 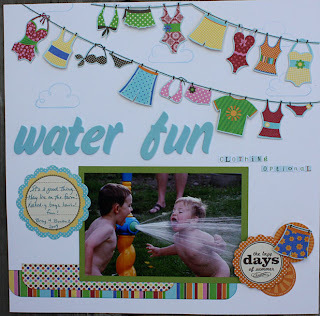 Love the cute clothesline and the journal spot use! Jen crafted this gorgeous layout on a Calgary tradition - Stampede! What I love the most is how many pictures she was able to include and not have the layout feeling cluttered. As well, did you see those dimensional flowers? I am personally dying to use those accents from the kit! And Laura designed this beauty! I love her ingenious use of the borders included in our kits! Those accents are fabulous accents too! 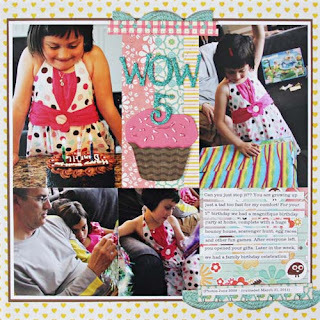 And Maggie, our Guest Designer, created this gem! The twine clothesline ties are adorable; the sweet photo as a flower centre and the layout title is perfect. Let's give it up for our Design Team! Whoooooo hooooo! Are you ready for Sketch #2???? Again the sketch is from the lovely Valerie Salmon of the Got Sketch blog. Here is the second sketch! With sketches, there are endless possibilities! You can rotate the sketch, use its mirror image or even be inspired by a portion of the sketch. Like Sketch #1, please link your project to this post and/or post in the forum/gallery so that you may earn a ballot for your entry. I will be awarding a prize to one lucky reader in 3 weeks time! here is mine :) look forward to the next one! Congratulations Corry! 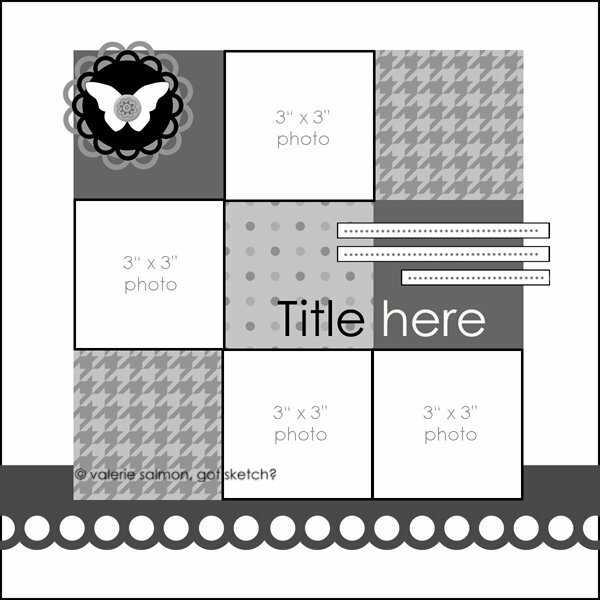 Please contact Sandy for your 6x6 pad of the BasicGrey Oxford! Yumm-o!!!! So how has summer been treating you? Have you been enjoying the beautiful weather??? I have been checking out all the wonderful interpretations of the sketch and have been completely blown away by your works - keep them coming ladies! You have 5 days left to submit your sketch interpretation and then I'll draw for a prize!